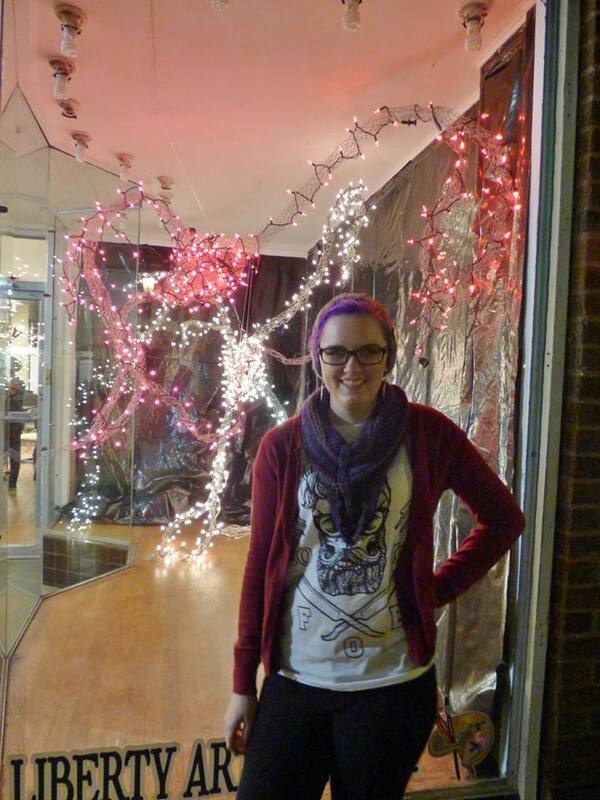 Emily Collins, senior, recently showed her art to all of Winston-Salem through Storefronts Winston-Salem. The theme of the work was science based, so Collins created a huge structure of wire and light to describe something many people do not understand. “I decided to use chicken wire and Christmas lights to create neurons and illustrate what goes on when a migraine sufferer experiences the aura before a migraine,” Collins said. Senior Emily Collins stands in front of her art installation “Chronically” downtown as a part of Winston-Salem Storefronts. Picture provided by Emily Collins. “I had seen photos of the space and had drawn up my initial ideas from that, but you always have to adjust when you get to actually see the dimensions of the space in person. Working with the chicken wire was also a challenge, a painful one at that, but I was so pleased with the texture of how it turned out,” Collins said. Storefronts Winston-Salem is a program which uses art to fill up vacant or under-used storefront windows. The program matches up downtown buildings and business owners with regional artists of all ages and genders. Those interested in being involved with Storefronts should look at their website, which is storefronts.org, as it will be updated when the project begins calling for its next group of artists. Also, remember to go downtown and check out Collins’ work!